I was thumbing through a magazine the other day when I saw this recipe. At first I thought that's a unique combination, but since I love every one of the ingredients I decided to give it a try. This was so easy and quick I was amazed. The result was a wonderful tasting cookie. I think this is a adult cookie, but you never know. Preheat oven to 375°. 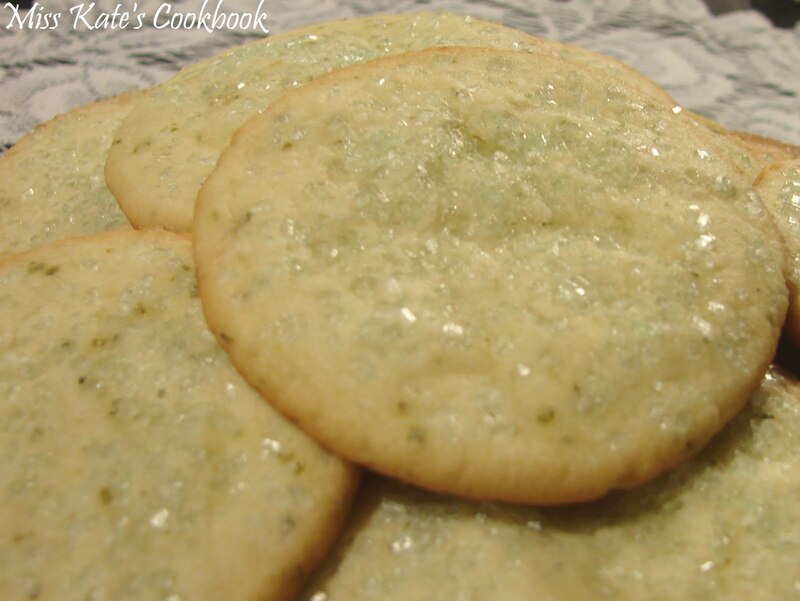 Place flour, 1/2 cup powdered sugar, butter, basil, both zests, lemon juice, and salt in a food processor. Pulse until large, moist clumps form. Measure level tablespoonfuls of dough; roll between your palms to form balls. Place on a large baking sheet, spacing 2" apart. Lightly dust the bottom of a flat measuring cup with powdered sugar and press cookies into 2" rounds, dusting cup bottom with powdered sugar as needed to prevent sticking. Sprinkle tops of cookies with sanding sugar, if using.